As pressure mounts for people to cut down on the amount of sugar they have in their diet it comes as welcome news to hear that Kellogg’s are doing their part. Since the beginning of this year Coco Pops have contained 14% less sugar, other items in the branding range such as Frosties have also had a 30% reduction in the sugar content. The Original Wheats range continues to have no added sugar. More information about sugary cereals and naming and shaming those with the highest sugar content is here. Why is cutting down sugar so important? 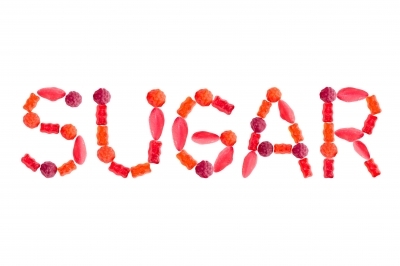 Public Health England has challenged businesses to cut sugar by 20% by 2020, this could lead to 200,000 tons of sugar being removed from the UK market. The problem with added sugar is that it contributes to a number of diseases, most notably tooth decay and diabetes. What is the link between sugar and tooth decay? We all have bacteria in our mouth, this is quite normal, as these bacteria digests their food they excrete acid and it is this acid which attacks the enamel. As the enamel attack progresses decay can set in which can ultimately lead to tooth loss if left to progress unchecked. The bacteria feed excitedly on sugar and so reducing the amount of sugar reduces the amount of acid these bacteria excrete. Read more about why sugar is so bad for your teeth. At the moment the 20% reduction challenge by Public Health England is voluntary however a Soft Drinks Industry Levy (SDIL), otherwise known as ‘sugar tax’ is set to begin from April 2018. Questions about the sugar tax? Will the price of soft drinks go up? Not necessarily, says the government website. If producers can find ways to reduce the amount of sugar in their drinks then the amount of tax they pay will go down, possibly even to nothing at all. There is also no requirement to pass on this tax to consumers. What drinks will have the sugar tax? Any drinks which have added sugar and sugar content over 5g/100ml will incur a tax. The tax is banded and will increase with more sugar, currently this will increase at 8g/100ml. Any drink which does not contain added sugar will not be taxed such as fruit drinks. As you can see, the government is doing its part to reduce sugar, producers are doing their part… You doing yours also? 31% of adults have tooth decay. For the 66% of adults that have visible plaque it’s not too late to get this removed for (allegedly) one of the happiest times of the year, Christmas. For the 48% of the population that are unhappy with the look of their teeth there’s also still time to do something about it, ready for all those photographs. But what about if you’re in the 31% of adults with tooth decay, is there still time for you to act? Oh yes, read on to find out what you can do to get your teeth and smile sorted for Christmas. What dental treatments are available in time for Christmas? With many dental practices now offering direct access for hygienists And hygienists offering a wider range of treatments there really is no reason why you can’t have visible signs of teeth staining removed prior to Christmas. If one of the reasons you don’t smile is because your gums are red and puffy then you may have gingivitis, this can often take a few weeks to sort out so again, you just about have enough time before Christmas to resolve this dental health problem. Most dentists near you will offer dental hygiene treatments, you should expect to pay for these privately as they are often not available with our hygienist on the NHS. Typically this will cost you between £50 and £100… Could this be a Christmas present to yourself? Some cosmetic dental treatments such as orthodontics take longer to undertake and there is now not enough time to straighten teeth with braces prior to Christmas, however, restorative treatments such as dental veneers or crowns made just have enough time (time of writing 28/11/17). If you have surface stains on your teeth you might like to ask your dentist or hygienist about mild air abrasion. This uses a very light blasting medium to gently remove surface stains from your teeth, the treatment can be low-cost, quick and painless but is only suitable if your teeth are stained on the surface. It cannot remove any deeper ingrained stains or change the colour of your teeth itself. One of the treatments you definitely have time for before Christmas is teeth whitening, whitening can take anywhere from a few hours (with in surgery whitening) or a couple of weeks with home whitening. If you’d like to have whiter teeth for those Christmas photographs then we recommend you contact your dentist within the next day or so to avoid disappointment. A word of warning about teeth whitening in a beauty salon… Don’t! Many industries find that Christmas is an extremely busy time of year, dentistry is no different. So many people are wanting to have their smiles bright and fresh ready for the festive season, you don’t have much longer to go if you are to get an appointment in time to have your problem resolved. Whatever you are waiting for… Don’t wait any longer and contact your dental practice TODAY. New statistics show that fewer than one in 20 people visit their dentist. Millions of Brits are only cleaning three quarters of their teeth, a study has found. Despite the average adult spending the recommended two minutes cleaning their teeth, almost half admit they are often missing out at least a quarter of their pearly whites. One in twenty even admitted to only getting the brush on half of their teeth – leaving the other half covered in the day’s acid, plaque and debris. It also emerged less than half (48 per cent) of people see their dentist at least twice a year, with more than one in ten only making an appointment when they have a problem. The study was commissioned by a consortium of dentists behind Brushlink, the first smartphone ‘tooth brushing tracker’ which coaches people on how to clean their teeth and gives them a score out of 100. Dr Dev Patel, founder of Brushlink said: “As a practising dentist, I have always been shocked by the lack of feedback between patient and dentist. “We have always had to rely on what we see inside the mouth every six months rather than having any reliable data about how people are brushing. The study of more than 2,000 adults found the younger generation are most likely to miss teeth when brushing, with just three in ten 18-34-year-olds saying they cover all of them. But this rises to 55 per cent of the over 55s. It also emerged more than six in ten adults have never been shown how to brush their teeth properly. And just one in ten parents supervise their children brushing their teeth twice a day. Almost a fifth of mums and dads admitted their kids occasionally lie about brushing their teeth by pretending to have done it when they haven’t. Another 12 per cent even said their children have tricked them into thinking they have cleaned their teeth by doing things such as wetting the brush head to make it look like it has been used. Thorough tooth brushing is recognised as the foundation of good oral health regimes, and an effective way to avoid tooth decay and gum disease. But almost a quarter of adults say someone in their household has had dental problems which they believe could have been prevented by better brushing. Each week, more than 1 million patients in the UK use NHS dental services – many of them seeking treatment for dental disease, the consequences of which costs the NHS a huge £3.4bn a year. Professor Elizabeth Kay MBE, Foundation Dean Peninsula Dental School, Oral Health Topic Expert for NICE and a Brushlink Scientific Committee member, added: “This survey has revealed some intriguing insights into our oral health regimes and patients’ relationships with the dental health professionals who care for them. “There is no substitute for good tooth brushing practices when it comes to maintaining a healthy mouth, yet it would appear from the survey that there is a lot more that we can all do to achieve this effectively. It’s great fun following the singing dentist on Facebook, his early videos were just a recording in front of a mobile phone in the dental practice… Nowadays budgets seem to be bigger, better and leading to some of the funniest (And informative) dental videos on the Internet. With over 86,000 subscribers on YouTube and 432,000 fans on Facebook no one can argue with the reach that Milad Shadrooh has – We are fully in support of his unique way of handing out dental information and advice. Watch his latest video here. People afraid of the dentist are being reminded that dentistry has significantly changed after an alarming number of Brits say a visit is scarier than 10 of the UK’s most common phobias, a new survey reveals. One in three (33 per cent) said a routine check-up was scarier than interacting with other people. Visiting the dentist also caused greater anxiety than open spaces (31 per cent), driving, animals and confined spaces. Spiders and flying (25 per cent), and vomiting and illness (24 per cent) completed the list. When asked what influences fear of the dentist the most, one in three (31 per cent) said needles and injections while one in four (25 per cent) suggested pain was the main influence. The results have been published as part of National Smile Month, which ran from 19 May to 19 June 2014. The good news for patients afraid of the dentist is that more and more dentists nowadays understand their patients’ fears, and with a combination of kindness, gentleness and improvements in technology they can do a lot to make dental treatment a normal part of life. If you haven’t seen a dentist for years through fear and anxiety, be reassured that you should find the experience dramatically more bearable nowadays. Why are some people afraid of the dentist? Most people who are scared of the dentist have bad memories from childhood of the smells and sounds of the surgery. The reality is modern dental surgeries are much friendlier environments with flowers in the waiting room, art on the walls, a pleasant reception area and polite staff. Advances in technology have also improved dentistry. Treatment can now be completely painless. The dental wand (a computer-driven injection system) is great for anyone with a needle phobia or a numbing gel can be used to numb your gums before an injection. Do you have fear or anxiety about coming to the dentist? The Dental Fears Research Clinic at the University of Washington in Seattle (1) estimates that perhaps 20% of patients experienced enough anxiety that they will go to the dentist only when absolutely necessary. One of the problems is that if you don’t visit the dentist your oral health can deteriorate without you knowing. So really, attending the dentist regularly is vital to keep your dental health and overall body health in excellent condition, so how can we begin to help you overcome that fear? We often find that overcoming dental fear is about realising that you have a choice. Think about it now, you weren’t born with a fear of the dentist, babies are a blank canvas and have no such irrational fears. However, as we get older we have certain experiences that shape our views, so think about it now… what experience led you to believe you were afraid of the dentist? So even as you read this email now, you’ll notice how irrational being afraid of the dentist really is and how comfortable we can actually make dental treatment with all of our modern techniques. Dental Sedation, one more step in the right direction. Now that you have greater control over relaxing at the dentist, it is a good time to talk more about specifically about dental sedation and what options are available. iTero crowns are a revolution in modern dental technology and allow the patient to have digital impression, that’s impressions with none of the nasty messy impression goo that normally accompanies having a crown made. iTero digital impressions are a great way to improve the comfort of the patient and allow an ultra high tech, modern and accurate way of recording the patient’s mouth for manufacture of the final dental crown. This technique can also be used to make Invisalign Braces – again with no nasty impression goo. To find a dentist that provides iTero Digital Impressions we suggest you Google this phrase to find a dentist local to you.